The SHWEP has arrived at the Roman period in our chronological meanderings. 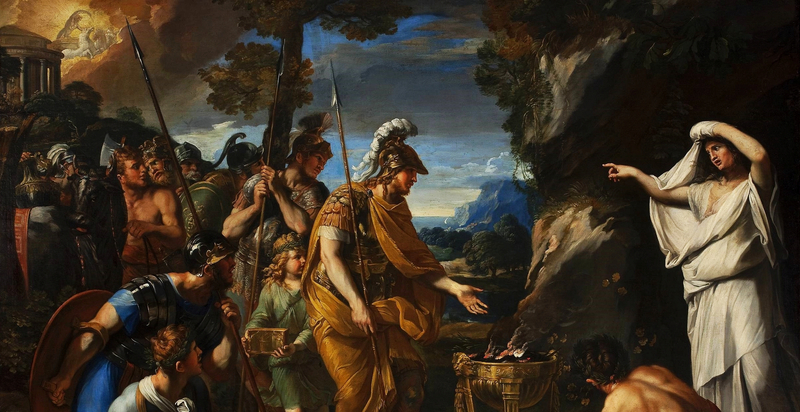 While we are not primarily concerned with the history of Rome per se, the rise of the Roman state is so important to western history in general that a few things need to be said about it to contextualise pretty much all later developments in western esotericism. 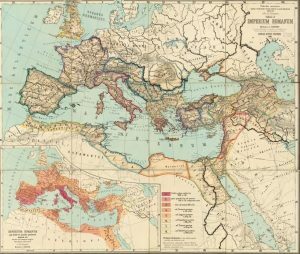 The Romans conquered the entire Mediterranean region through a combination of circumstance, hard work, and sheer cussedness and aggression. But the state they created was the matrix for a flowering of culture that in many ways exceeds the sum of its parts; Rome became greater than the Romans, than the Roman empire, than any historical process. Rome became the Eternal Empire. The History of Rome Podcast is a completed project. If you want the blow-by-blow account of the rise and fall of western Rome, check it out! Follow this link for Episode 1. Faivre, A. (1992). ‘Introduction’. In: Faivre, A. & Jacob Needleman, e. (Ed. ), Modern Esoteric Spirituality, SCM Press, p. xiii: ‘By the term “West” we mean the vast Græco-Roman whole within which Judaism and Christianity have always cohabited with one another, joined by Islam for several centuries.’ Listeners may wish to think about the relationship of this idea of the west with historical reality, on the one hand, and with the map of the western Roman Empire, on the other. Note that Judaism and Christianity have ‘always’ cohabited – the eternal Christian Rome is projected back in time to cover all of history – while the role of Islam – which of course does not feature in the history of the western Roman state – is elided to ‘several centuries’. If by ‘several centuries’ we mean more than a thousand years, then this is correct. Edmonds, R. G., 2013. Redefining Ancient Orphism: A Study in Greek Religion. Cambridge University Press, Cambridge, UK. Merryman, J. H. and Pérez-Perdomo, R., 2007. The Civil Law Tradition: An Introduction to the Legal Systems of Europe and Latin America. Stanford University Press, Stanford. Tainter, J. A., 1990. The Collapse of Complex Societies. Cambridge University Press, Cambridge. Ward-Perkins, B., 2005. The Fall of Rome and the End of Civilization. Oxford University Press, Oxford. Ziolkowski, J. M. and Putnam, M. C. J., 2008. The Virgilian Tradition: The First Fifteen Hundred Years. Yale University Press, New Haven, CT. This was a fantastic episode. Another of the many that are now on the “repeated listening” list.